part of a project that is inspiring and heart touching and shows transformation. May you be blessed by it too! You can go HERE to purchase it. 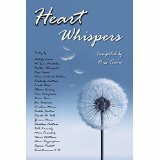 Categories: blessings, collaboration, Inspiration, poetry, PUBLISHED | Tags: blessings, collaboration, Heart whispers, inspiration, poetry, poetry anthology, published, transformation, writingwingsforyou | Permalink.